Informing the camera of the exact moment of the launch is a tricky problem. The fact is, you'll need to turn the camera on, start the script, put the camera in the container, seal the container tie it to the balloon and then you'll finally be able to launch. A few minutes have elapsed, and the camera does not know when the launch has been done. The first problem is that this delay causes an offset in all the mission timing. Moreover, I think it's nice to start the mission with a video documenting take-off. This video cannot be too long as it fills the SD card rather fast and eats quite a bit of power. But if you only make a video of 5 minutes and the first 4 minutes of video depict the packaging of the camera, that isn't going to be that fun! The ideal solution involves turning on the camera, starting the script in a sort of "paused" mode and then having a simple but effective way to inform the camera when to actually start shooting. 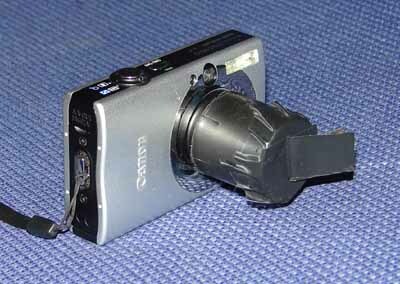 More sophisticated approaches might work, but I went for the simple one: keep the camera's lense covered and uncover it just before the launch. When started, the script would meter luminosity and detect the moment of the dark-to-light transition. 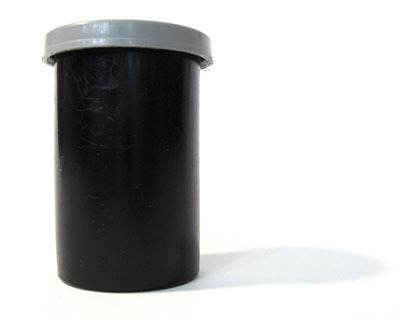 You probably aren't buying 35mm film since a while, but you'll still find plenty of them in a photography stores. Run and grab a few before they become rare!